Wayfind is pleased to announce a complimentary webinar for nonprofit organizations, Strategic Legal Thinking Seminars – Insurance Basics for Nonprofits. What All Nonprofits Should Know, offered by Pfizer and ExponentumTM on October 17th, 2018 from 12:45 p.m. to 3:30 p.m. EST. The webinar will discuss legal and practical issues that nonprofits confront when seeking to protect themselves through insurance coverage. Wayfind is pleased to be part of Exponentum. Please see below for a more detailed webinar description and the Registration Link. 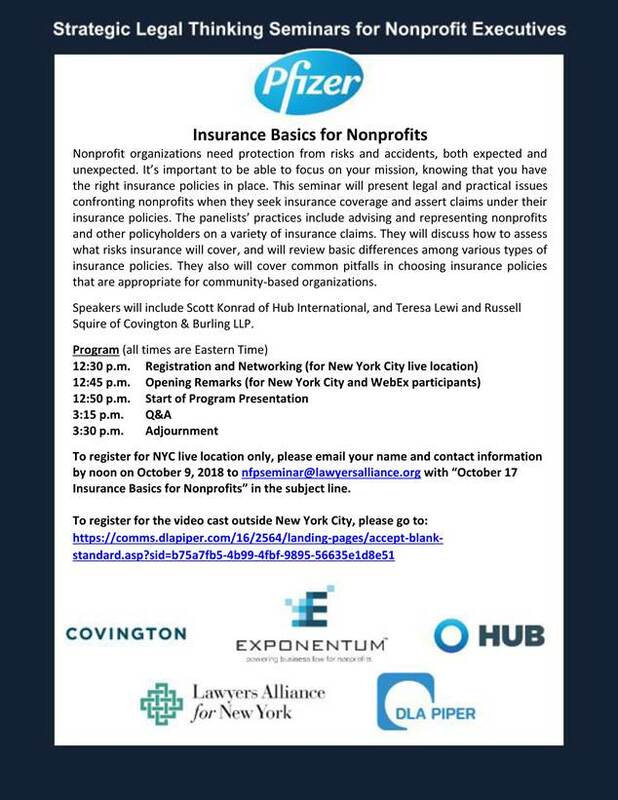 Register for "Insurance Basics for Nonprofits – Webinar"